The best way to earn sustainable blogging income is to pick a profitable niche. I’ve come to learn how important it is the hard way. I changed my blog topic three times. Because I failed to write about blog topics that make money, my blog weren’t a success. Then, I failed to narrow it down to the right niche. Hopefully, after those attempts and some research, I finally got it. It’s never too late to shift to blog subjects that make money; but it’s best to get it while you start your blog as business. In this post, you’ll find the best topics to write about. You’ll learn how to find a niche to blog about where you can help people and make profit. What to blog about to make money? It’s all about the right balance. Sometimes, there’s topic you’re passionate about; subjects you could talk about for years. But, it is one of these topic where you can make real money. If you blog to make money, don’t follow your passion if it’s not profitable. Don’t start in a blog niche with high CPC ads and big affiliate commissions, you have no interest in neither. Blogging is not quick way to be rich. It takes time. A profitable blog may have 50 to 200 posts. It may take 3 months to 1 year to start getting enough traffic to make profit. You’d feel overwhelmed, run out of ideas, and maybe give up if you don’t blog about something you know. There’s the other side. You blog about something you’re passionate about, but it’s not profitable. You may write 200 posts, getting traffic and see no money for your hard work. It’s all about finding balance between passion and profit. Or even profit and knowledge; because you can build a blog in a niche that make money even if you’re not passionate about the subject. List of blog topics and 40 blog niche ideas. How to Find Topics To Write About? List what you know you could write about. In the list, search for topics where you can make profit. Verify that it is a viable topic worth blogging about. The first step is to find out what you know. Like we discussed earlier, blogging is a long term business. You’ll write blog posts for years. Take a notebook and write 5 things you know you could write 10 posts about to start. (There’s a list of blog niche ideas at the end of the post to help you). 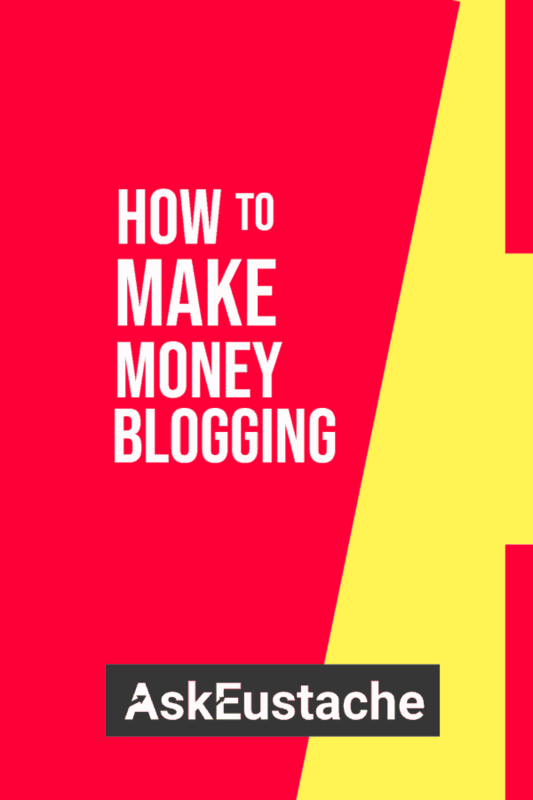 There’s traffic potential: you make money with your blog when people visit it. So, the topic must have potential to receive traffic. You can use a SEO tool like Semrush to get an estimation of searches per month for the keywords. You can also search on Pinterest to know if it is a popular blog subject. Go to pinterest.com/categories/ for broad blog topics. You can then dig down for specific sub-topics. Products availability: You earn blogging recommending products (either the one you create or affiliate products), display ads (where advertisers recommend products), or offering services. One way to see if your blog topic is profitable is to go to semrush.com, enter the keyword, and look for CPC for related keywords. What if you end up with more than one topic? If they are related, you can start a single blog about them. Each of them would be a category. ex: saving money, work from home for students. Otherwise, it is recommended to start a blog for each of these topics. To fight overwhelm, it’s best to build one blog at a time. So, use the blog subject you can build a blog on faster. You need to build an online business via your blog. You’d like to cash in years to come. While it is not bad to blog about seasonal things such as summer clothes, it is best to write about evergreen topics. Those topics that will be relevant each month and probably years to come. Think parenting, careers, etc… They are things people may have interests in the whole year. Imagine you had a blog about a specific phone model people no longer use, all your hard work stop bringing money with specific model not trending anymore. How To Find The Right Niche For Your Blog? Once you pick your blog topic, you have to find an angle. A blog niche is a segment of a larger audience where you target specific needs. You find your blog niche when you find who you want to help. Let’s take an example to illustrate. There’s plenty of blogs about food and recipes. It may be hard to compete with established sites with thousands of visitors and a team of writers. You’ll stand out when you write for a segment of that market big sites don’t mind focusing on. Let’s say, recipes for busy moms. First, your content will have a purpose: cooking healthy food fast. Second, you’ll look for the best tools to achieve something specific, hence increasing opportunities for relevant affiliate promotions. Finally, you’ll build authority around that subject and attract the right audience. Bottom line: find a specific problem and help your audience fix it is key for a profitable niche. Here’s a list of blog niche ideas to help you decide. I’ll list blog topics ideas. For each blog subjects, I’ll list blog niche ideas. Reminder: a niche is a segment of a larger blog topic. However, it is your job to find the right sub-niches. The thousands of people who read that article get the same suggestions. For less competition, follow the advice about finding a niche to blog about. Fix a specific problem or feed a specific interest. I’ll start with the most popular. AskEustache falls into that category. This is one of the most profitable topic to write about. You get personal finance affiliate programs that pay up to $100 per lead; people interest in money is evergreen; advertisers are willing to pay high CPC for finance ads; and it has potential for traffic. A lot of bloggers sharing income reports of $100,000 per month blogging are in a finance sub-niche. Travel topic is great for ad income, affiliate commissions, and sponsored posts. Like I said, this list of blog niche ideas is here just to help you. Thousands of people are reading the same post. Think about a specific problem, if it is evergreen and get enough traffic, write about it. In health and fitness, if I decide to write about weight loss, it could be belly fat or neck double-chin. You get the point. If I write about muscle building, it could be exercises for specific body parts or with specific equipment. So, let’s go the list of health and fitness niche ideas. Find more blog topic and blog niche ideas by Googling and browsing through Pinterest. I talked about it earlier. You can go to https://www.pinterest.com/categories/ for topic ideas. Click on each to find more specific blog niche. You have an idea of how popular the topic is by looking at the number of followers. However, look for something really specific. Not those categories like Photography with 74.4+ millions of followers. The same goes to Google. If you don’t go through SEO tools, enter your keyword directly into Google search bar. Find blog niches by looking at suggestion, related terms and by browsing sites in search result pages. Where you’re at in the process of building a blog? Go blog about subjects that make money.